The rooms have both bunkbeds and double beds (all of them with bed clothes and nordic covers). Each bed has a reading light, an electrical plug (to charge phones or laptops) and a personal locked (with electronic numeric security). We have also designed the rooms in a modular fashion, thinking on your intimacy and confort. Those modules can create a private space for up to 8 persons, making them ideal for couples, families or group of friends. Also, all the rooms have bathrooms with showers. Room details where the individual reading light is showed. Some rooms have separated areas with double beds for more intimacy and confort. We take care of every detail, from the rooms to the bathrooms. Great views to the Cathedral from your room, what else will you need? 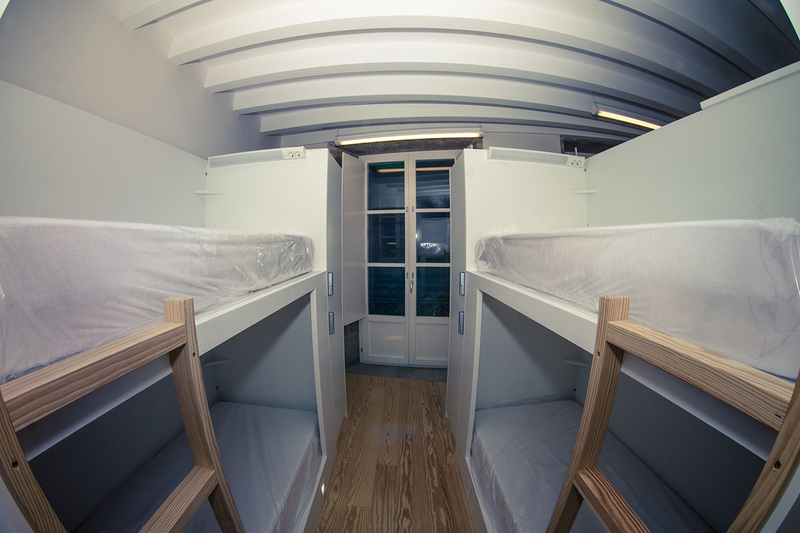 Our modular rooms will make you feel like at home, with privacy for you and your friends or family. 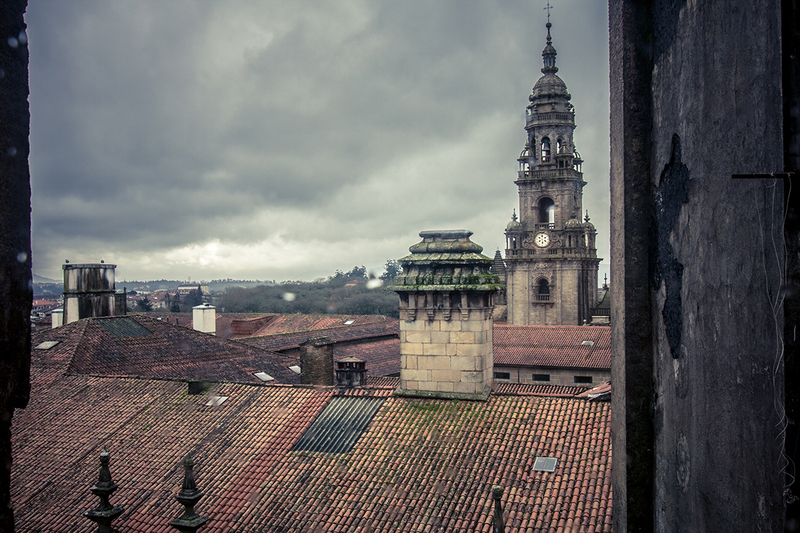 Beautifull views to the Cathedral from one of our rooms.